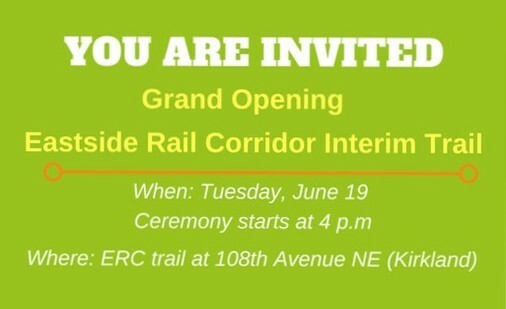 Join King County Parks and our ERC trail partners on Tuesday, June 19 at 4 p.m. as we officially open a new one-mile-long segment of the interim Eastside Rail Corridor Trail. The rails are gone, the gravel is down and we’re ready to celebrate! Ceremony starts at 4 p.m. 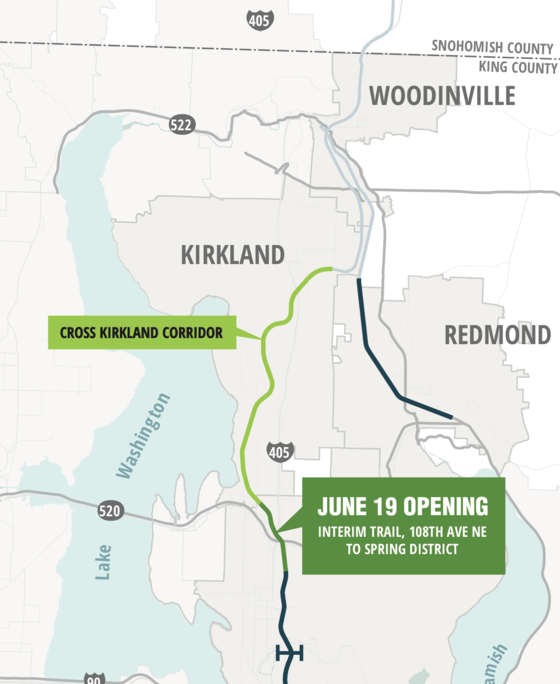 This segment will get you from the Cross Kirkland Corridor to the heart of the Wilburton neighborhood in Bellevue! Arriving by bike? REI will be on hand doing bike safety check-ups!